It has been quite a few months since Hairy Legs settled into his new role at Caprice, and we've been meaning to catch up for a while. After months of waiting, Bilbaobab was finally back in town, and we agreed to meet up for lunch today. I suggested we check out Arcane, as I have fond memories of my dinner there from some time ago and it's a place the others haven't been to before. By the time I arrived, it was clear from Stefano's demeanor that Hairy Legs had been recognized, as we were offered complimentary Champagne. Not wanting to go back to the office while red in the face, I politely declined. I also declined to have Chef Shane Osborn create a special menu of signature dishes for us, as I'm dining out four consecutive nights this week and really didn't need the extra calories. So set lunch for me it was. 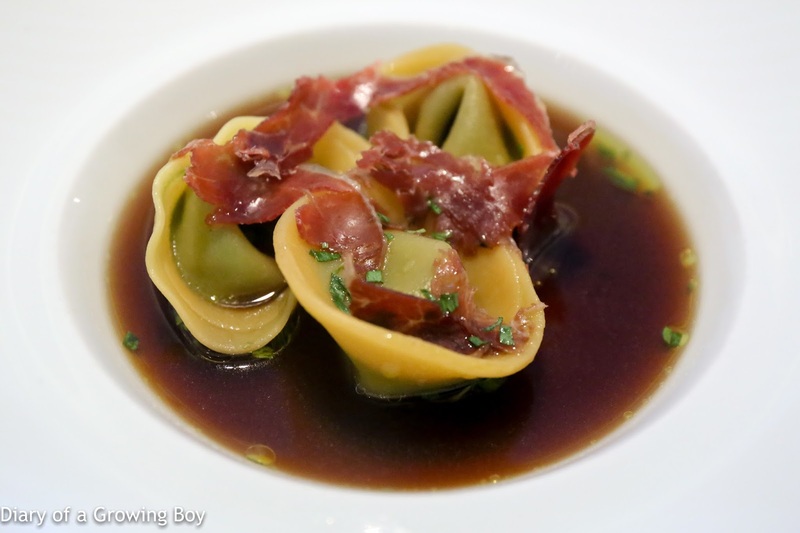 Spinach and Parmesan tortellini with onion consommé and bellota ham - this was very nicely done. 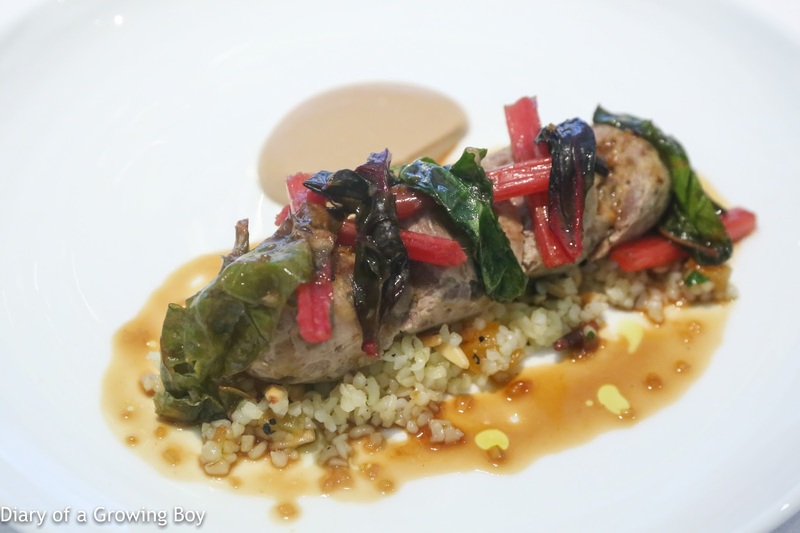 The textures of the wrappers were pleasing, and the flavors of the fillings worked very well with the strong flavors of the consommé and jamón. In fact, the consommé seemed to have been seasoned with something akin to Chinese five spice (五香)... and delivered a lovely and comforting familiarity. 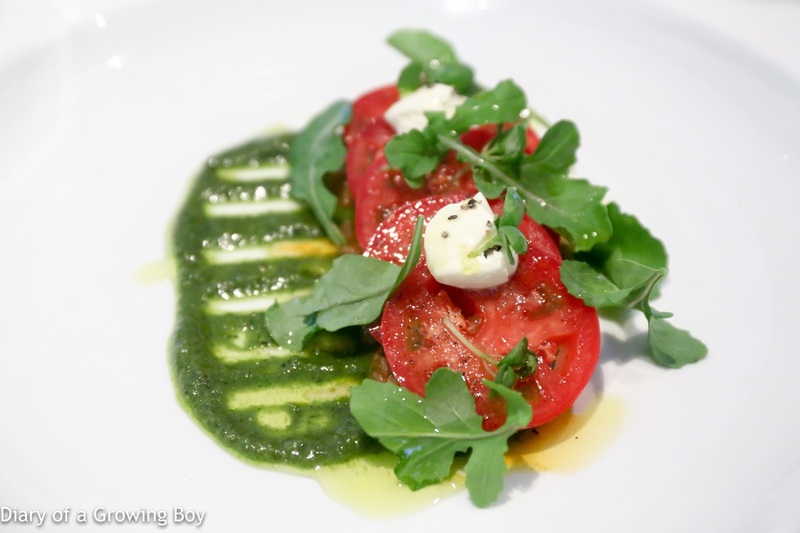 Japanese fruit tomato with imam bayildi, rocket pesto, sour cream and Marfuga olive oil - very clean and pure flavors here. Just delicious and the fragrance of olive oil lingered in the mouth. A complimentary dish from the chef which we shared. Boudin of confit lamb shoulder and confit garlic with a salad of bulgur wheat, apricot and almond - I love all kinds of encased meat, and seeing that this one was made not just with lamb shoulder, but confit lamb shoulder, piqued my interest. I love it when a chef takes the effort to make his/her own sausages. This was deeeelicious! I would have loved any lamb dish anyway, but this was way better than what I had expected. The fragrance (and lamby flavors) and the Mediterranean spices were so alluring... Just beautiful! Thank you, sir... may I have another? 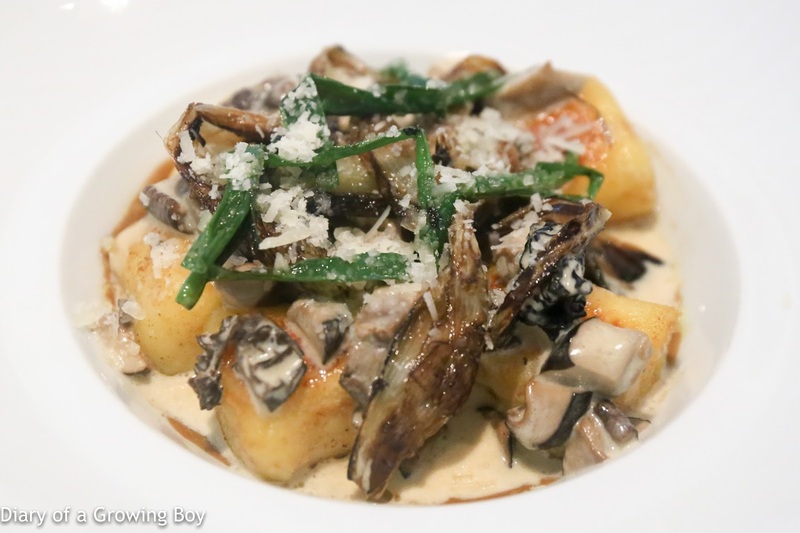 Sautéed potato gnocchi with caramelised leek, cep vinaigrette and shiitake duxelle - I can see that gnocchi is a dish that Shane likes to showcase, and the reason is glaringly apparent. This wasn't quite the same dish as the one he paired with Krug Grande Cuvée earlier, but you've still got the same beautiful texture of the gnocchi along with plenty of mushrooms. Another complimentary dish we shared. A very relaxing and delicious lunch. Many thanks to my friends for the treat, and I'm already looking forward to returning the favor in the 'hood... in two months' time!